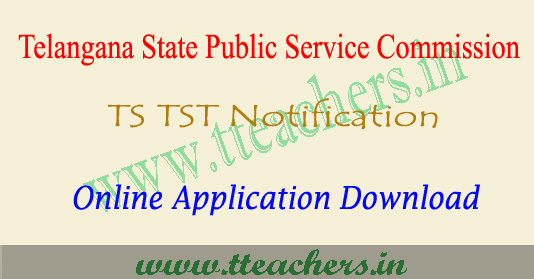 TSPSC TST 2017 notification , TS TST notification 2017 : Telangana Govt has decided to release Teachers recruitment notification ie TSPSC TST 2017 notification for the year 2017. TS Govt has given responsibility to Telangana State Public Service Commission@ TSPSC. So organizing authority is TSPSC from this year. Now DSC will be called as TST-Teachers Selection Test, to be conducted by TSPSC . TSPSC to be issued notification to fill 8792 vacancies under Zilla parishad, MP Schools and Govt schools under Telangana Government. The online application process for the TST exam starts soon... This is a great opportunity for the Telangana state candidates who are cleared the tet exam. Candidates who want to employment in the Teaching field can apply through tspsc website. After verifying the TST notification details 2017, if the candidates confirm that he/she are eligible for any post released under TST Notification 2017 can apply. For more details visit this article.